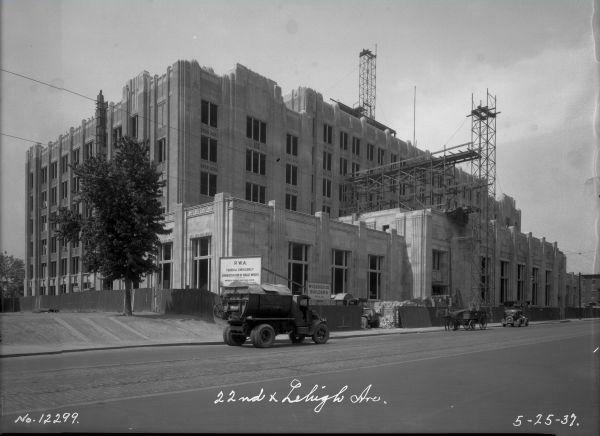 Murrell Dobbins CTE High School was constructed in 1937. 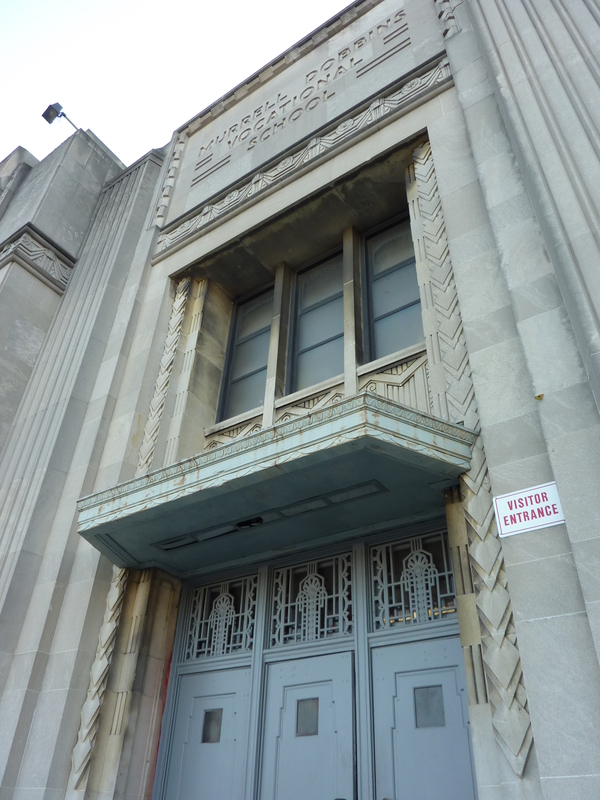 As one of the last projects designed by architect Irwin T. Catharine, it is listed on the National Register of Historic Places as part of the Philadelphia Public Schools thematic historic district. A hallmark of the Dobbin’s transformation includes significantly expanded instructional spaces for CTE. 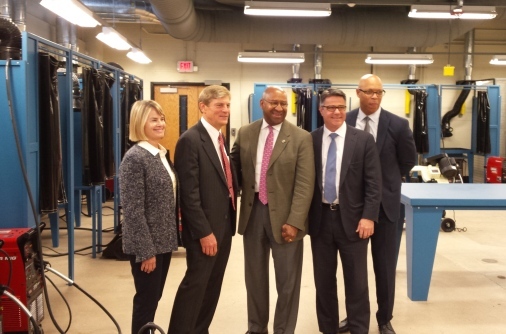 The vocational emphasis of the CTE curricula requires specialized design for each program along with creative adaptation of existing spaces and building fabric to serve the School District of Philadelphia’s 21st century educational and career training objectives. 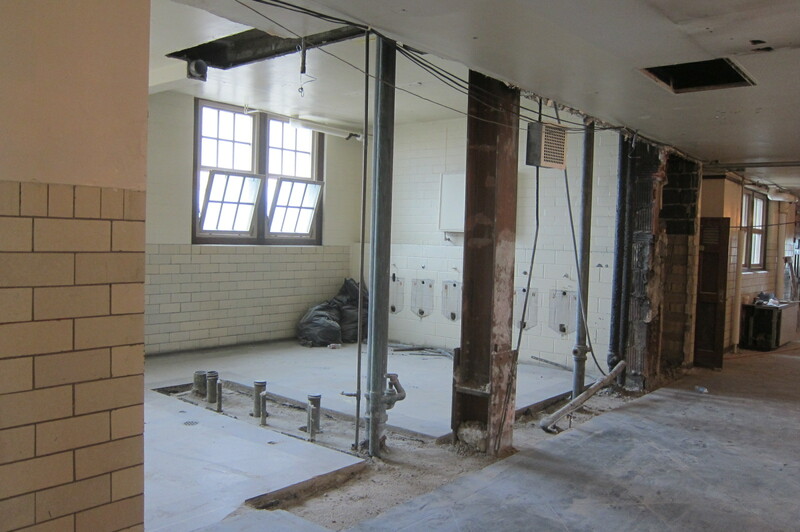 The renovation takes a sensitive approach to preservation of traditional design elements within the building, and incorporates respectful and surgical modern interventions where new programs require updated equipment and room layouts. The renovations include: updates and modifications to classrooms in accordance with the School District of Philadelphia’s technical standards; extensive upgrades and replacement of select building systems; restoration and preservation of unique and historic building amenities; and reorganization of administrative and other core educational spaces to improve the overall function of the school. 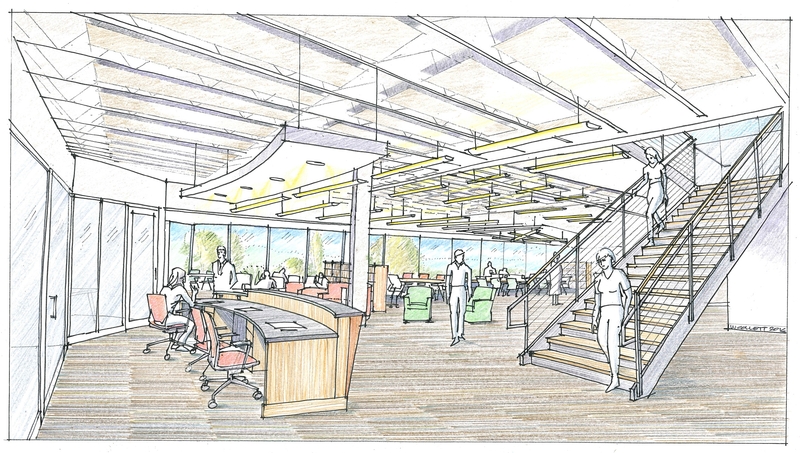 Phasing and construction logistics will remain a major design determinant, as the school will remain open throughout phased construction. Construction is expected to be completed in March of 2019. 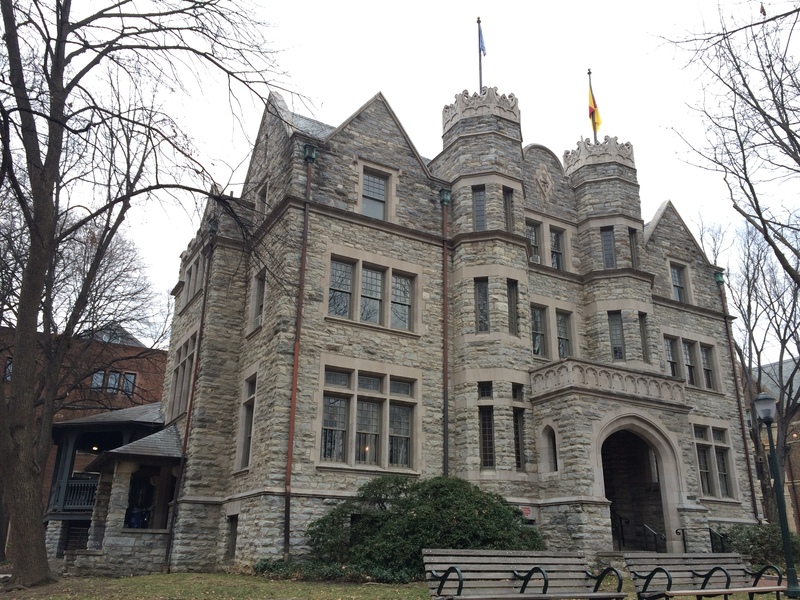 Renovations to the historic Psi Upsilon fraternity house are underway at the University of Pennsylvania. 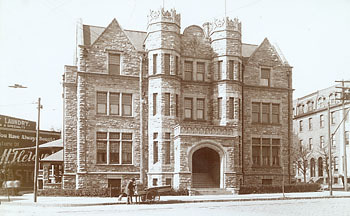 UPenn’s Tau chapter was established in 1891, and since 1899 has occupied one of the most impressive fraternity houses on Penn’s campus. Nicknamed “The Castle” for its impressive limestone towers, the Victorian Gothic mansion contains 14,000 square feet over four floors designed by prominent Philadelphia architect George W. Hewitt, who was the father of one of the fraternity members. 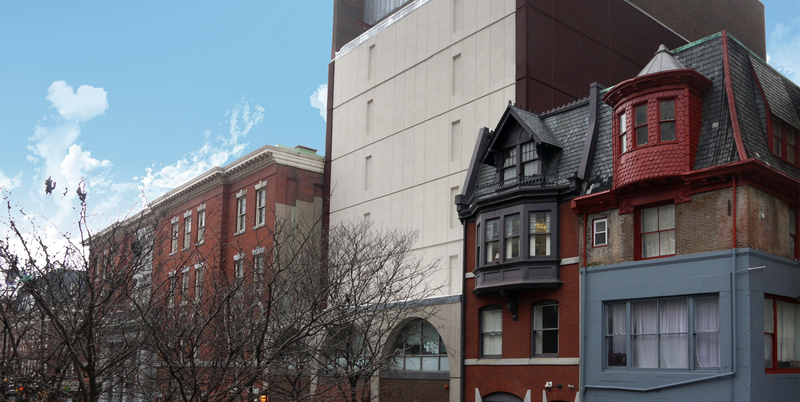 BWA has a long history of renovating Greek Housing at UPenn. In the past, it has done work at the Alpha Chi Omega, Alpha Epsilon Pi, Tau Epsilon Phi, Sigma Alpha Mu, Delta Tau Delta, Delta Upsilon, Sigma Nu, and Sigma Phi Epsilon fraternities and sororities. The current renovations at The Castle include: refurbishing wood floors and paneling, lighting, and finishes in the common areas; installation of air conditioning throughout the house (no small feat in a 120-year-old structure); as well as improvements to group study, pantry, and storage areas. These upgrades will help ensure the Castle remains an attractive and comfortable place for students to live and learn far into the future. With a $1 million construction bid, work is now underway, with the goal of construction completion by the time school begins in the fall.